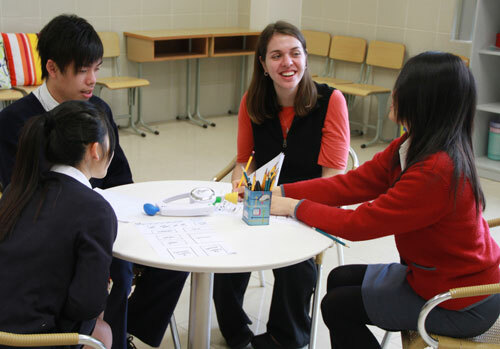 One of our team’s strategies in Macau is to engage students through conversational English. Three of our staff work directly in the local school system as English teachers and look for ways to engage students both in the classroom and outside. In addition to her class time, Jenaya invites students to her home to make cookies and socialize. Bridger plays soccer and hangs out at “noodle” houses. David and Melissa Kline have a revolving door at their home as students come and go throughout the day and evening. The constant challenge is in engaging students for Christ. There’s an acute sense of apathy among young people in Macau who have little direction for the future in a city-state dominated by the world largest gambling industry. Just days after leaving Macau last month, I was informed by David Kline that one of his students was found floating near the ferry boat pier in what appears to have been a suicide. Pray for the work in Macau and neighboring regions and for spiritual breakthroughs in the lives of students and adults. We just received word about the death of Rev. Kenneth A. Beattie on Saturday, March 26, 2011. Rev Beattie, a minister for over 55 years, died in Toledo Hospital of complications from dementia. He was 83. Rev. Beattie began showing symptoms of dementia about three years ago, and had broken both hips in separate falls during the past two years. He lived at home and was undergoing rehabilitation for his most recent break when he was taken to the hospital on March 22 because of difficulty breathing. He was a Navy SeaBee during World War II, serving in the Philippines. Before entering the ministry, he worked for a machine products company and farmed in Defiance County, Ohio. He preached and held tent revivals in the Defiance area. Rev. Beattie received degrees from Fort Wayne Bible college and the Huntington University Seminary. He served 13 years at churches in Sherwood, Ohio, and Camden, Mich., plus several years in evangelistic work. Then, in 1969, he became pastor of Harvest Lane UB church in Toledo, Ohio. He stayed for 12 years, overseeing the expansion of the sanctuary. After leaving Harvest Lane, he pastored two UB churches in Michigan on a circuit–Riverside UB in Monroe and Morocco UB in Temperance. 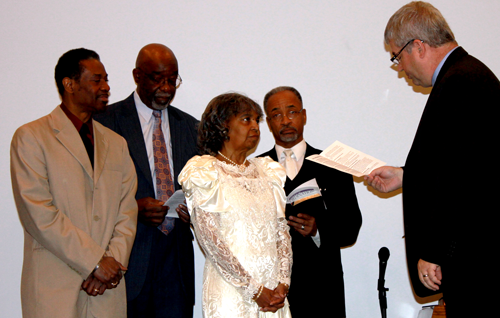 He then moved on to Pontiac, Mich., to pastor First Christian Missionary Alliance Church. Reverend Beattie planned to retire in 1988 when he returned to Toledo, but then discovered a small Wesleyan church that needed a pastor. 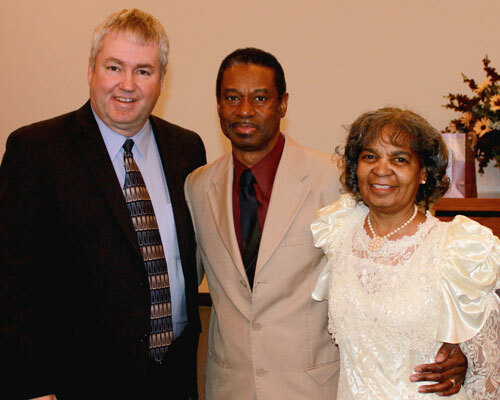 He volunteered part-time for a while, and then went fulltime, serving as pastor until retiring in 2009. Reverend Beattie and his wife, Jean, were married for 63 years. Surviving are his wife, two daughters, and a son. Services were held Wednesday, March 30, at 11 am in the Reeb Funeral Home in Sylvania, Ohio. If you’re a shutterbug and would like to share some of your photos at national conference, we invite you to participate in our “Love God, Love Others Photo Contest.” It’s not necessary that you attend the conference. You just need to attend a United Brethren church. We’re looking for photos from your church which in some way reflect the conference theme, “Love God, Love Others.” Submissions must be sent to us electronically (digital photos) no later than June 1, 2011. Make sure the resolution is high enough for us to print out a good copy in 8×10 size (at least 3 megapixels, no more than 6 megapixels). Participants must attend a United Brethren church and may submit no more than two images. A form is available on the National Conference site for sending your photos. Or, you can email photos to photocontest@ub.org, with this information: Your name, address, church name, phone number, and a brief description of each photo. By entering the contest, you affirm that the photograph is your own and grant license to the United Brethren in Christ to reproduce, display, and create derivative works of the entries. 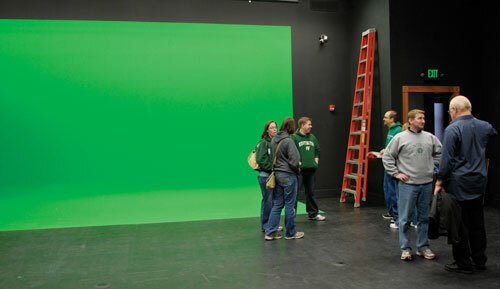 Davis Hall now includes a film studio with a large green screen. Huntington University has been selected as a recipient of the 2011 BCA Excellence in Construction Awards for the renovations to Becker Hall. Becker Hall, formerly known as the Administration Building, is the university’s first building. It was erected in 1897 and has acted as classroom, gymnasium, chapel, and administrative space over the years. During the summer of 2010, renovations were made to the basement and lobby, including donations from Fetters Construction of period-like wood trim and ceramic tile for the lobby. The biggest renovations were to Davis Hall, on the third floor of the building. It now supports a film studio with a greenscreen, a stadium-seat theater, faculty offices, editing rooms, and an equipment cage. The addition of a new elevator completed the renovations during the fall of 2010. The building will still serve in its current administrative role, but now also houses the future of the digital media arts program. The project was recognized in the “Renovation – Under $2 million” category from the Building Contractors Association. Fetters Construction submitted the project for consideration. “Receiving this award helps to confirm that we achieved our goal of trying to emphasize the heritage of the building while enhancing its ability to meet current program needs,” said Tom Ayers, vice president for business and finance/treasurer. The renovations to Becker Hall are part of the larger $21 million “Together: The Campaign for Huntington University” that will also expand the Merillat Physical Education and Recreation Complex and grow the University Fund and endowment. The Children’s Ministry Summit, previously scheduled for May 17-18, 2011, has been cancelled. They had hoped for 15 registrants, but weren’t close to that number, so the decision was made to pull the plug. On January 25-27, Sandy and I visited our Haitian church in Bradenton, Fla. I did three leadership training sessions for them, using the “Habitudes” materials. About 30 people came on Friday night. My session lasted about two hours. When I finished, one of their guys did a ten-minute recap of the main points in the Creole language, which is used widely among Haitians. Something similar happened during the Saturday morning and evening sessions on Saturday, though the translation became more detailed as the day wore on. About 20 people attended both of those sessions, but not always the same people; some people came for just one session, depending on their work schedules. We arrived at the church on Sunday morning during the Sunday school hour. They have three adult classes which meet in the sanctuary at the same time. In our American culture, we think you need a separate walled room for each class, but that wasn’t the case here. One class of about 30 met on one side, a group of 15-20 ladies met a little further back, and clear in the back of the sanctuary was a class of about 15 guys. All three teachers were every animated and engaged with teaching their material, and the people didn’t seem distracted by the noise. They were really focused on their teachers. At the end of the Sunday school hour, the children and youth came in from their areas. Everybody moved up to the front, and they had a traditional Sunday school closing, complete with awards for the classes that gave the most money and brought the most visitors. I delivered the morning sermon, with the help of a translator. I estimate that 100-110 people attended that morning. Although the community includes Hispanics and other ethnic groups, this was very much a Haitian congregation. Pastor Jean Claude Presendieu would like to see them expand to other groups, but as long as they speak Creole, they’ll be a Haitian congregation. He said most people communicate in English at their jobs. But when they come to church, they prefer using Creole, which is their native, heart language. One lady gave an announcement in English. She’s Haitian, but was more comfortable speaking in English than in Creole. They didn’t translate for her, so I figured enough people could understand what she said. The Bradenton congregation keeps a strong tie to Haiti, especially in the aftermath of the January 2010 earthquake. Pastor Presendieu will go to Haiti in April or May to help conduct a crusade. 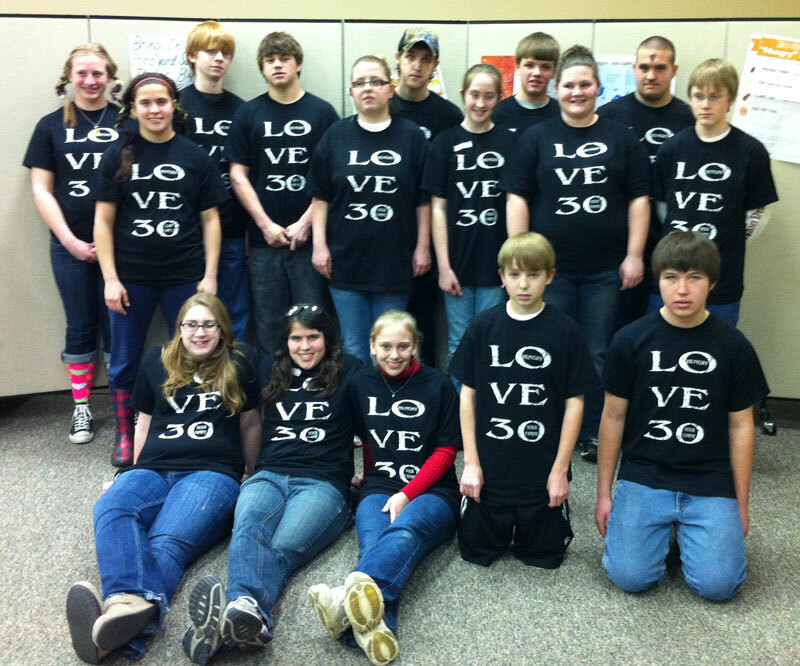 They’ve done some projects, like putting together buckets of supplies to send back to Haiti. We received word that Rev. Herbert (“Herb”) Cherry passed away Thursday night, March 24, 2011. He was an ordained minister and former pastor in the United Brethren church, and the brother of fellow UB ministers Harold and Howard Cherry. The funeral is set for Thursday, March 31st, at Eden UB church in Mason, Mich.
Funeral – Thursday, March 31st, 11 am at Eden UB Church, 1938 Eden Road, Mason, Michigan 48854, with visitation one hour prior. The ordination service for Mary Flamer. L-r: William Flamer, Ed Harvey, Mary Flamer, Roland Albert, and Bishop Phil Whipple. Bishop Phil Whipple (left) with William and Mary Flamer. On Sunday, March 20, 2011, I conducted an ordination service for Mary Flamer. Her husband, William, is associate pastor of Park Layne UB church in Dayton, Ohio. Interestingly, Mary and William actually live in Philadelphia, Pa. Once a month, they travel to Park Layne to participate in the service. Ed Harvey, pastor of Lighthouse Community Church in Dayton, and Roland Albert, pastor of Park Layne, joined me on the platform to assist in Mary’s ordination. Amanda Reeck with her certificate of acceptance. Exciting news: Yesterday, in a formal ceremony our third daughter, Amanda, was handed the announcement that she has been accepted to the internal medicine residency program at Southwestern University Hospital in Dallas (that was her first choice.) Her sisters Teresa and Elisa were able to be with her. She graduates from med school on May 24. We praise the Lord for making all of this a reality! We have now survived (and thoroughly enjoyed) three of the many workshops that we will be involved in this year and we are very happy with the outcome of each. In February, Marilyn taught a “Learning that Lasts” (how to teach adults so that they retain the information) workshop. Twelve Garifuna pastors and leaders attended. It was quite exhausting for her, but she was thrilled with how well the group understood the methods, which were successfully displayed during their practice teaching. Next, Marilyn set out for Guatemala along with three Garifuna leaders to attend a Scripture Meets Culture workshop. The men learned how to identify their cultural rituals, search for what the Word says about these practices, and then make a decision as to accept, reject, or change them. The three men readily embraced the teaching and came up with a very detailed plan of how to share this with all of the Garifuna Christians. Immediately after arriving back, a One Story workshop was held here in Honduras. Thirteen stories form the book of Acts were learned and discussed, and church planting principles were drawn from each of these. Now, Roger is on his way to Suriname to hold two One Story workshops. The first one will be held in a Lokono language village and the second in the capital city, Paramaribo, with 5 different language groups. Doing this all by himself will be a rather awesome task. He has spent the last several weeks relearning the Sranan Tongo language which he will use to teach the classes. He still experiences much pain in both legs and especially while travelling. Marilyn stays back here in Honduras finishing off many different projects and preparing materials for several teaching opportunities. It is so wonderful to have our daughter Chrysti and her family just an hour away. We will celebrate our 40th wedding anniversary in June!